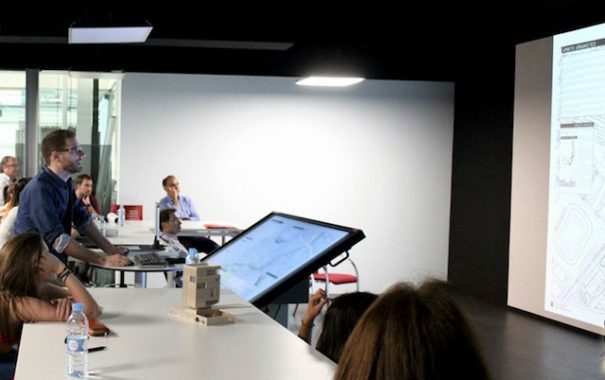 The new BigRoom, in which this construction specialist makes its technical meetings at its headquarters in Zaragoza, now boasts a touch screen Touch Screen multiClass, in addition to two walls, an interactive totem and a projector of high luminosity than facilitate the realization of their projects. Specializing in design and construction of buildings, real estate and services portfolios of soil, Group LobeIt will hold next year the 30th anniversary of its activity in this market, has relied on the engineering integrated technological solutions)STI) to remodel technologically and with audiovisual systems headquartered in Zaragoza. 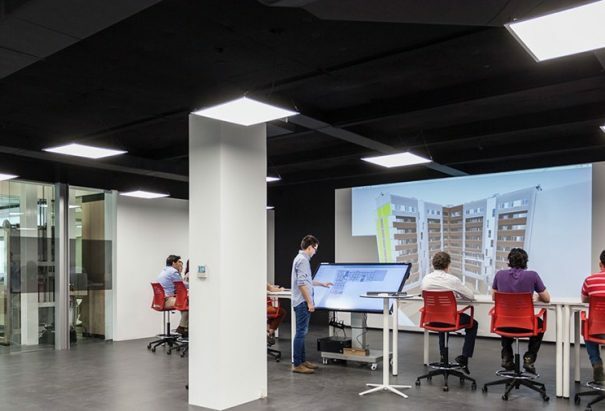 Löbe building has equipped its new BigRoom, where are the technical meetings of work using BIM methodology in its construction processes, the touchscreen multiCLASS Touch Screen and the convertible carriage in table multiCLASS Mount for the presentation of dynamic content of its services and promotions. From this screen Led HD high definition and luminosity, company technicians can handle touch all available resources. For this project, STI designed a first area with two video walls with professional screens, in configuration 2 × 2 and 2 × 1, managed by two players. This joins the installation of interactive totem from 42 inches to create tailored to customers homes designs. It has also created a meeting space with a 4800 lumens LCD projector to display the contents on the wall.